My time in Melbourne continues to pass, sometimes too fast. Still, I’m managing to fit in a little bit of this and a little bit of that before I’ve got to go. 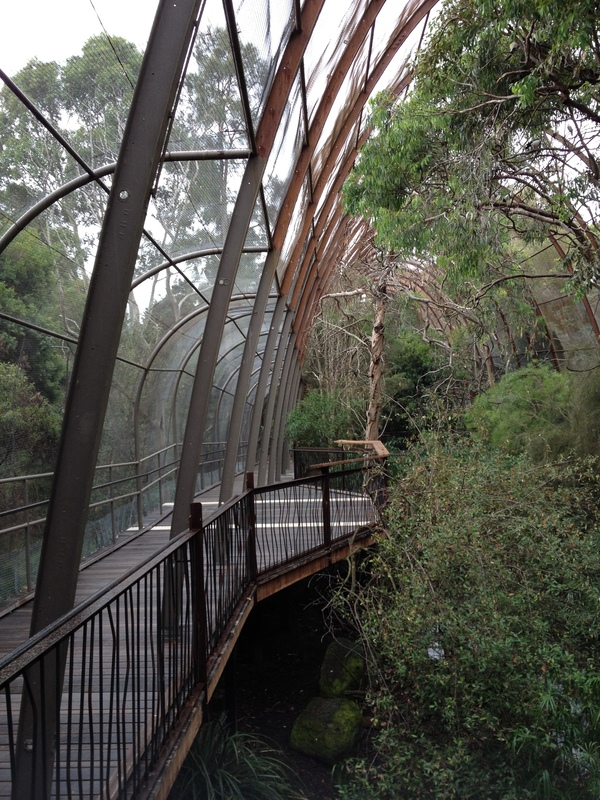 Over the weekend I hit up Melbourne Zoo to put an end to my desire to see a duck-billed platypus. Australia, as you well know, is famous for it’s particularly ridiculous wildlife. The duck-pilled platypus is without a doubt one of the stand out creatures in a crowd of unusual critters. It’s appearance alone baffled European naturalists on their first encounter and it’s hardly surprising; a duck-bill, beaver tail and otter feet all suggest an elaborate hoax. If that wasn’t enough, it’s also one of the only mammals to lay eggs and one of very few venomous mammals. 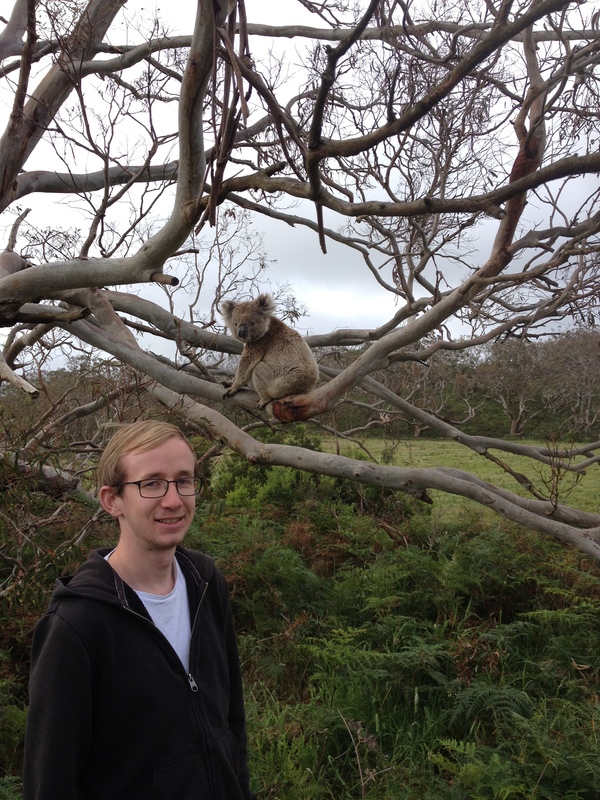 I dealt with the excitement of the major marsupials on my adventures down the Great Ocean Road with heaps of koalas around the Ottway National Park and a troop of kangaroos. I’ve also seen Tasmanian devils in the past and still hold the belief that they are cute. Echidnas have still maintained an ellusiveness that I’m still to defeat. There have also, rather pleasantly, been no encounters of any spiders bigger than a 50 cent coin. How about that zoo then? On almost all of the maps I’ve seen, Melbourne Zoo comes across as looking vast. I was initially expecting a full day of wandering around enclosures but looks are often deceiving and the zoo is no exception. I invited my former housemate Elena along for the ride and she kindly offered to drive us over there. After pulling up and nabbing a free parking space and a ticket from a kindly family on their way out, it quickly dawned on me that Melbourne Zoo is pretty small and the map may as well have been made up by someone who’s never seen the place. 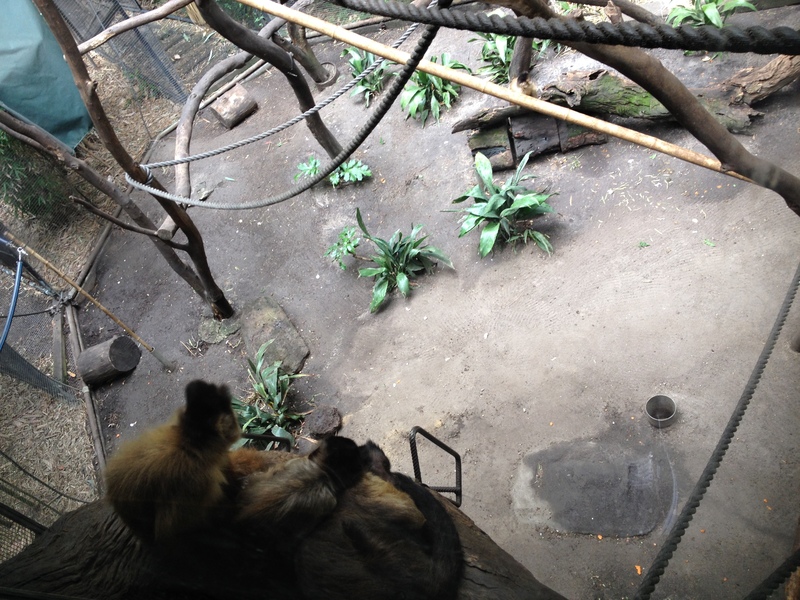 The zoo is set out around a central plaza with little organization in the animals and no easy way to plan a circular route around all of the areas. With that in mind, I quickly relegated the map to my back pocket and lead on to whatever creatures we would encounter first. The native Australians came first, and most of them looked pretty miserable. Kangaroos had tucked themselves away in corners, the emus were hiding in ditches and they were all doing their very best to avoid the public. The wombats were sleeping, as were the koalas and who even knows where the Tasmanian devils were. Good thing I wasn’t here for those guys. 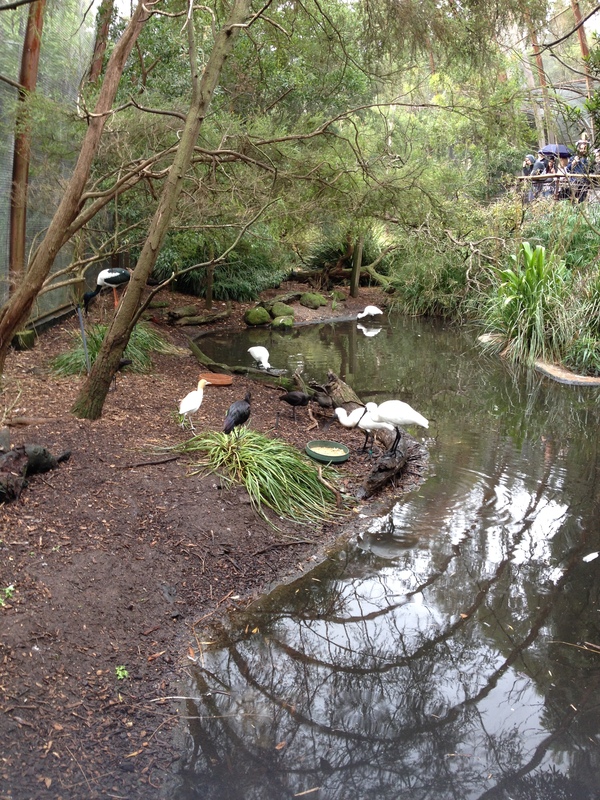 Next up had us enter a Jurassic Park-esque aviary which was home to some fairly ridiculous looking spoon-bills. These guys have what is essentially two flat spoons placed together as beaks. Not quite platypus bizzare, but you have to wonder how that’s beneficial to the bird’s survival. We both decided that once we’ve made our fortunes doing whatever it is that you do to make a fortune in this day and age, huge aviaries were definitely on the cards for our mansion gardens. Things took a turn towards Africa, with zebras, giraffes and gorillas all taking over from the natives in looking full of despair. I would guess that for an animal, life in a zoo isn’t much different from the 9-5 grind without the respite of a weekend. Having been fortunate enough to see a lot of the world’s fauna enjoying life in it’s natural habitat, I think I might be close to done with zoos. The monkey houses were quite good fun with plenty of activity and the little guys looked like they may well have been enjoying their lot in life. The same area was also home to the tree-kangaroo which, until this year, I didn’t know was a thing. I have a suspicion that these animals might be about as close to a dropbear encounter as I’m likely to get. 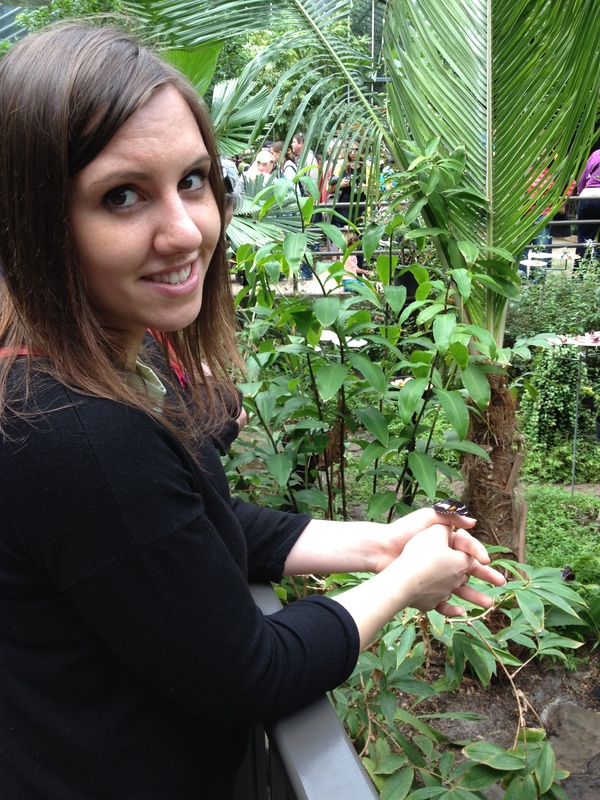 One of the highlights of the zoo is the butterfly house. I enjoyed the butterfly encounter at the Seattle’s Pacific Science Center and was equally impressed with what Melbourne had to show for itself. Within minutes of entering I made a bet with Elena that I’d have a butterfly land on me before she did, before we’d finished shaking hands I had one on my shoulder. 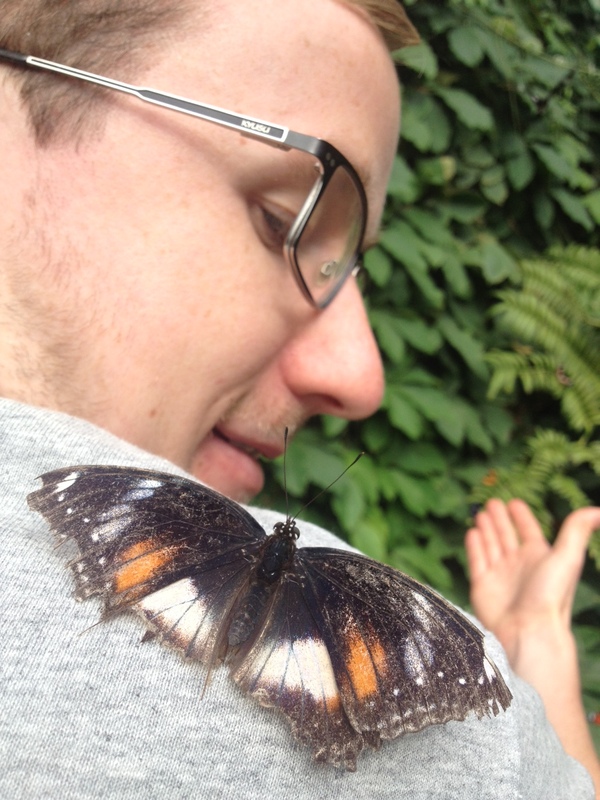 I believe that this sort of thing is enjoyable because of the active interaction; butterflies will come and land on you for a bit until you move, or they see somewhere more attractive to sit. The elephants came next and they were probably the most active and content of the animals outside. With the biggest enclosure and plenty to keep them busy it was little surprise, although I do wonder if this may also have been because of the depressing drizzle we arrived in and that the weather had now improved. On the other hand, my sister’s just been to an elephant sanctuary, so I can’t imagine this compares in the slightest. 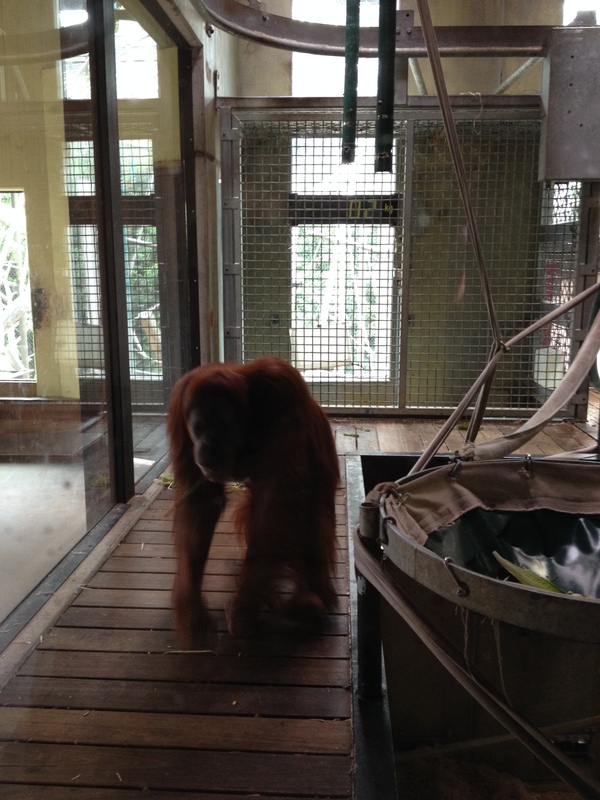 A couple of orangutans were busy doing nothing in particular but certainly looking like they were up to something. By now the time on our free parking was running out and we’d yet to see the platypus so some decisions were made; penguins were seen at the aquarium so they weren’t a necessity and were cut, we could speed through the reptiles, spend a bit of time with the platypus and then catch up with the big cats on the way out. 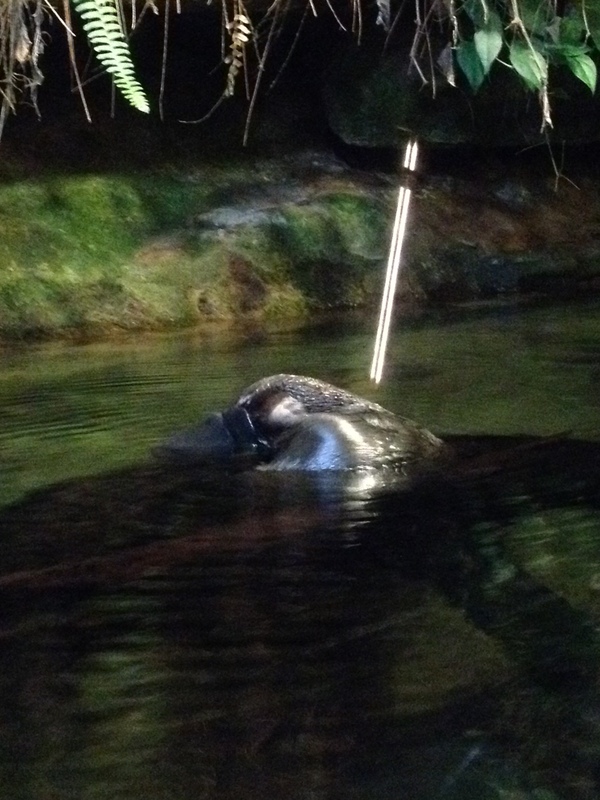 There was one lone platypus in the enclosure and it had no troubles in making me feel satisfied with my day out. It was sat in the middle of a large tank, having a scratch and every so often it would take off do a couple of laps and come back and rest on a log. Unquestionably, it’s an odd looking thing but it doesn’t look abnormal. The pieces fit together and it looks like it is supposed to be that way. Melbourne Zoo is exactly what it says it is, a zoo in Melbourne. It’s close to the CBD, there’s a tram stop and train station near to one of the entrances and parking almost the whole way around. Getting there couldn’t be easier. There’s enough to do to keep you busy for at least three, potentially four hours if you’re really keen and for the ticket price of $30 I think that’s not bad value for an afternoon’s worth of entertainment. 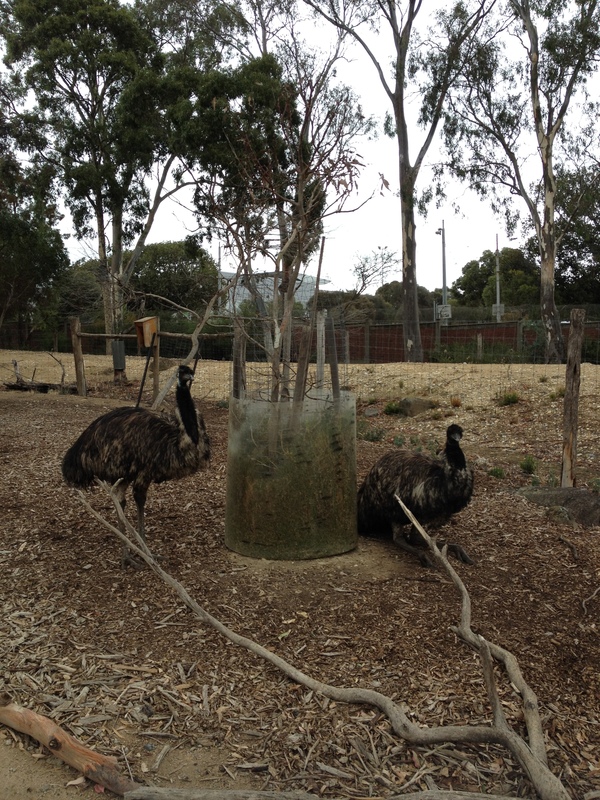 Should you make it to New South Wales, take a trip to Dubbo and visit the Western Plains Zoo. Open spaces,not only for the animals but for the visitors too. 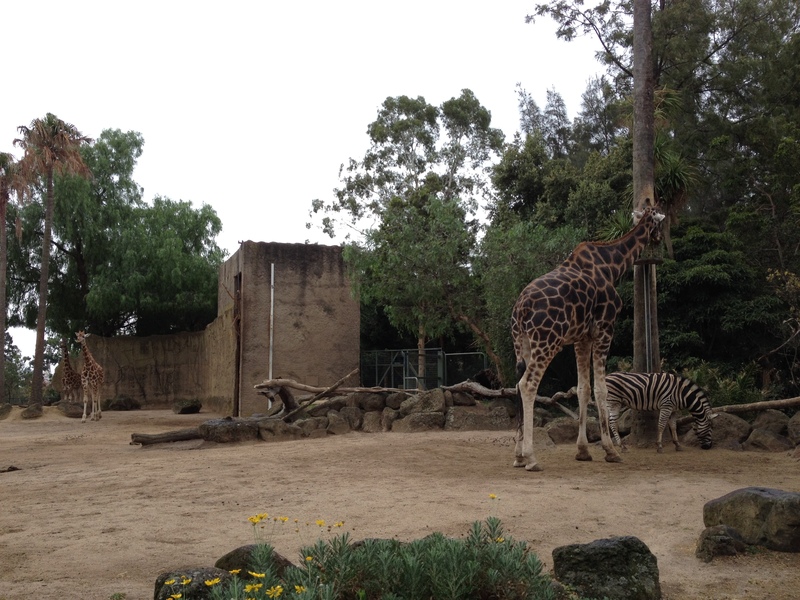 Sydney’s Zoo tops Melbourne’s in every respect. Hope you do make it up here and write about it as your style is well developed, interesting and tells it like it is. Good for you. Thanks for the recommendation, if I make it up that way I’ll be sure to check it out! Thanks as well for your kind words.